The new Parkwood Elementary School construction is making steady progress since its groundbreaking in September. 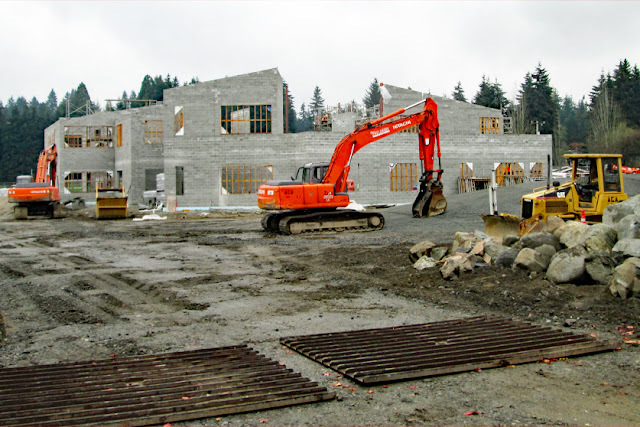 The new building is on the original school site at 155th and Meridian. 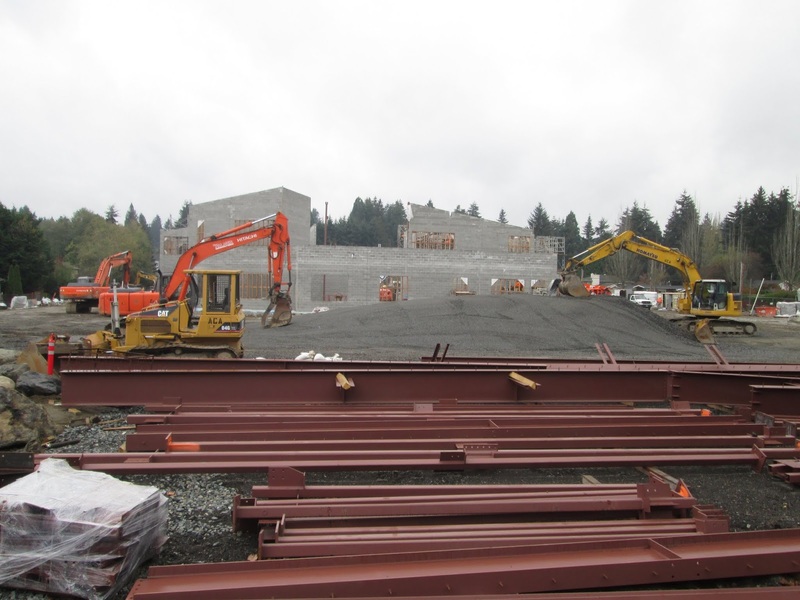 Parkwood Elementary School is one of four school construction projects being funded by a school construction bond approved by 73 percent of Shoreline School District voters in February 2017. Other projects to be funded by the bond include construction of the Edwin Pratt Early Learning Center and rebuilding Einstein and Kellogg Middle Schools. Pratt and Einstein are also under current construction and Kellogg is scheduled to start in a few months.